I got the test back and I stared long, hard, forcefully, as if to scare the grade off the paper. 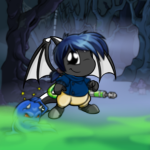 One of the rarest neopets, and certainly one of the hardest to obtain, is the Draik! Draiks are lovely little dragons, and are hatched through Draik eggs, which come in a multitude of colors, like basic colors, ice, pirate, and even zombie! But they're certainly not easy to get, and even harder to take care of! Mortogs are getting dangerous, guys. Be careful. This little darling utilizes the magic of the Baby color to change into a sweet little egg form. Kendrick woke in the middle of the night after his first day in Brightvale to an eerie noise - like cogs turning round and round beneath his bed. All Danny's hard work and battling for nothing. "I've had some word from my contacts. The Thieves' Guild is trying to move further into Altador."